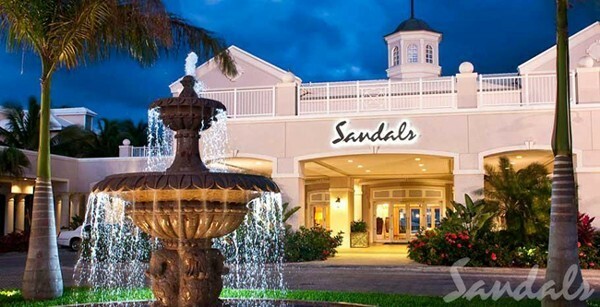 Sandals Emerald Bay Resort Great Exuma Bahamas If the idea of an exotic private escape with spectacular accommodations hidden within the privileged seclusion of the Bahamian Out Islands appeals to you, Sandals Emerald Bay, the first all butler resort, is for you. Request a quote or just give us a call at: 1-800-627-8468. 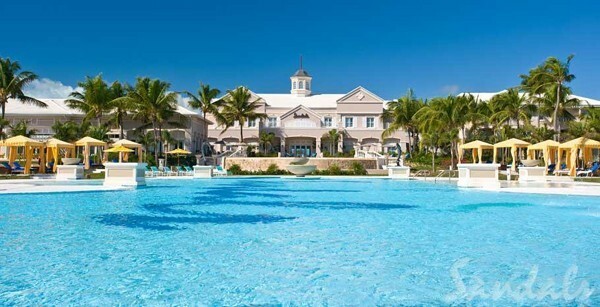 Deep within the idyllic waters of the Exumas, the brand new all-butler Sandals Emerald Bay brings unprecedented luxury to the easy-going rhythms of the Bahamian Out Islands. 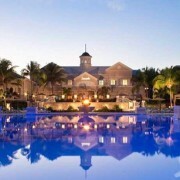 Here, a privileged enclave is designed to ensure you will feel as if you are the only ones there, where service reigns supreme and Bahamian-style architecture of elegant villas and suites harmonize with nature. 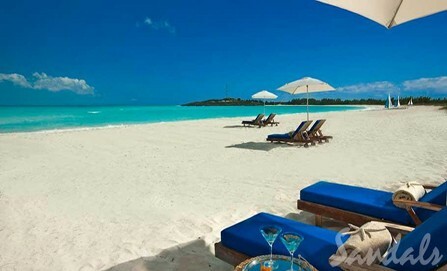 Sitting in a privileged position in Emerald Bay, Great Exuma, just feet from one of the most beautiful white sand beaches in the Bahamas, the stylish and spacious honeymoon suites offer extensive views of the beach and the extraordinary turquoise-green sea beyond. 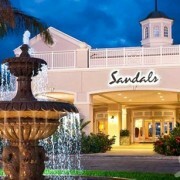 Service is paramount at Sandals Emerald Bay. To ensure you get the very best, a personal butler trained by The Guild of Professional English Butlers is assigned to every guest. 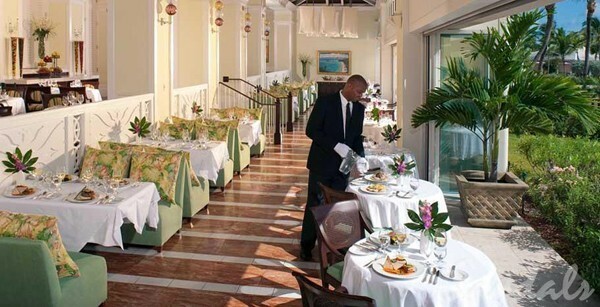 The culinary experience at Sandals Emerald Bay is unrivaled in the Caribbean, celebrating epicurean treasures from the renowned hills of Tuscany to the delectable bounty of the sea. Whether you crave an evening of sophisticated gastronomy, the barefoot elegance of oceanside dining, a refined afternoon tea, or a lively night at an authentic English pub, five unique venues offer a cuisine and ambience to suit every mood. 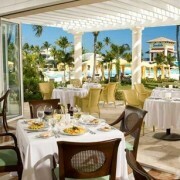 Italian-influenced cuisine awaits you in this fine dining restaurant. 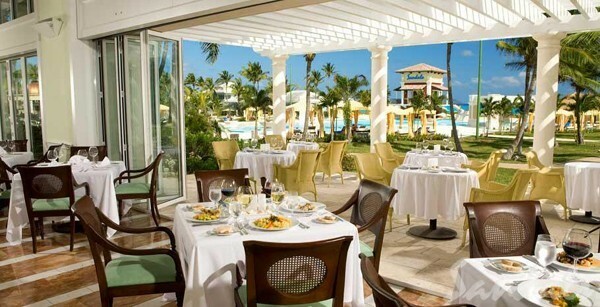 Reservations are essential for dinner as El Cielo is a sought-after eating place at Sandals Emerald Bay. 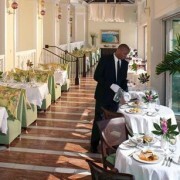 Get there early for breakfast too if you want a seat on the sunny terrace overlooking the well-manicured gardens. 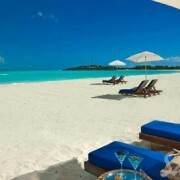 It’s a relaxing and popular hotspot.You won’t be footloose and fancy free but, as the restaurant name implies, you can be barefoot by the sea with your feet resting on the soft white sand. Within a stone’s throw of the ocean, under a Caribbean thatched roof, you can sample the local specialty, conch salad and fritters. Delectable alternatives are grilled Ahi Tuna and Sea bass Tempura. The Drunken Duck Pub – This lively authentic pub was built in Ireland and has brought all the charm and excitement with it to Sandals Emerald Bay in Great Exuma. Enjoy typical British food here, from Bangers & Mash, Fish & Chips, and Shepherd’s Pie to Bread & Butter Pudding, Apple & Pear Cobbler, and classic British Trifle. 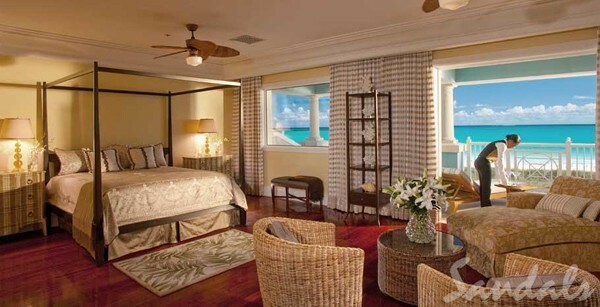 Once you arrive at Sandals Emerald Bay everything will be taken care of by your personal butler. 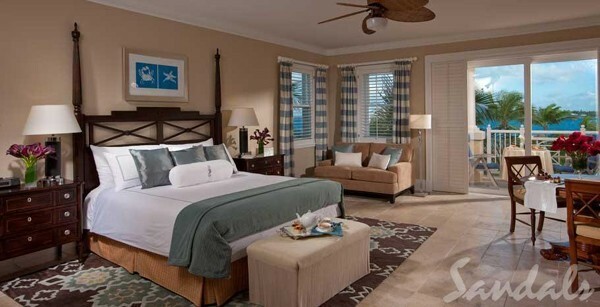 The concierge and the front desk will also be on hand to assist with anything you need. 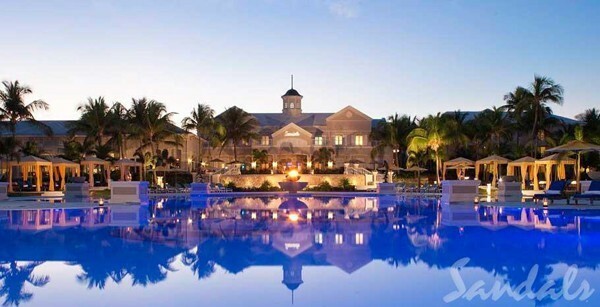 However, before you arrive, you might find these snippets of information helpful to ensure everything runs smoothly for your luxury all inclusive vacation or honeymoon in the Bahamas.